Taking two existing apartments and removing everything but the buildings shell would create the canvas for FIVE AM to work with. 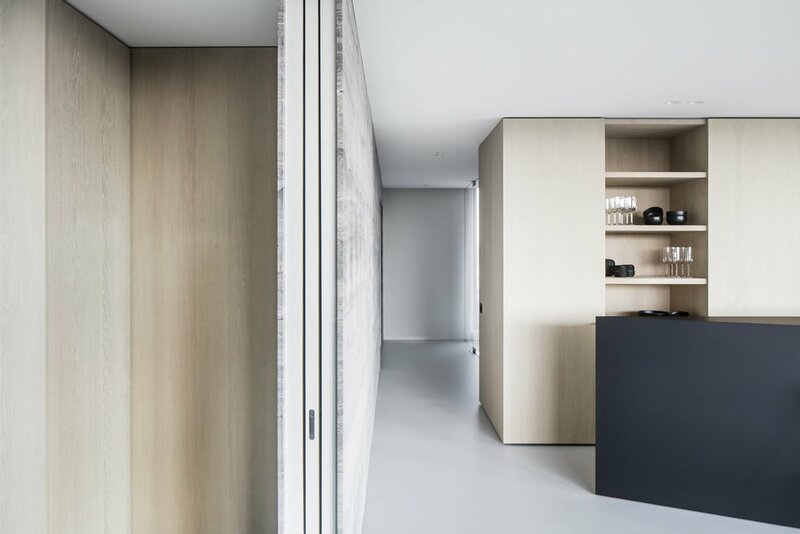 Olste, a minimalist office design, is located in Knokkle, Belgium and features a number of multifunctional spaces. The designers retained the existing walls but were supported with additional walls clad with natural stone. The office splits into two main parts that seperate the technical business and partner conference spaces and the reception area. All the comforts within the office are situated within the reception area where you can find a bar, conference table, an intimate area and a seating space. What we really like about this space is the way that the light and colour have been played out against each other in unison. 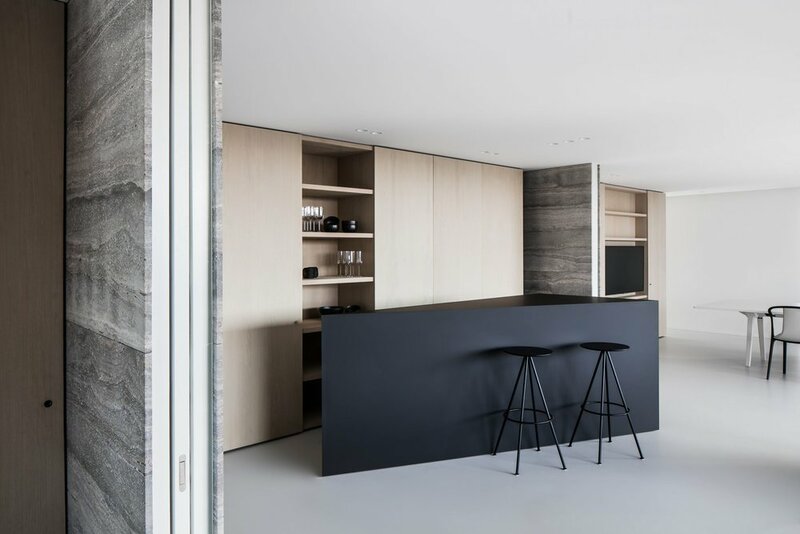 By layering the neutral earthy colours, from the wooden doors and stone walls, and the placement of hard edged shapes a soft contrast has been created throughout the office space.